Here it is... the pretty much finished project. We still have a few little things to finish up, but it looks pretty good as is. Well they did all get done, and we came in just a few dollars under budget! 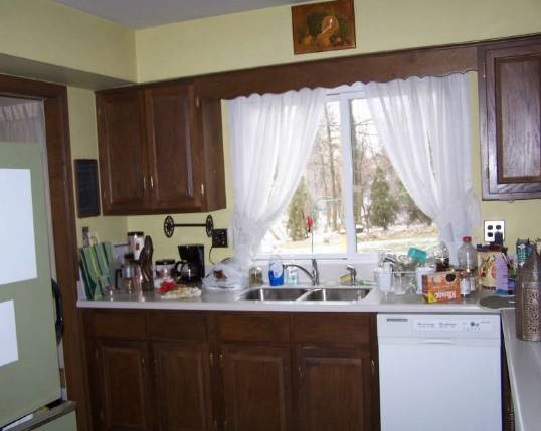 The largest part of the budget went to paint and the backsplash. The backsplash was just under $200.00 for all of the supplies, and the paint for the walls and cabinets came in at $150.00. The handles were from Ikea and ran just over $100, we did save time and money but spray painting the old hinges white. It cost the 3.50 for a can of white spray paint as opposed to $2.50 a door for new hinges. 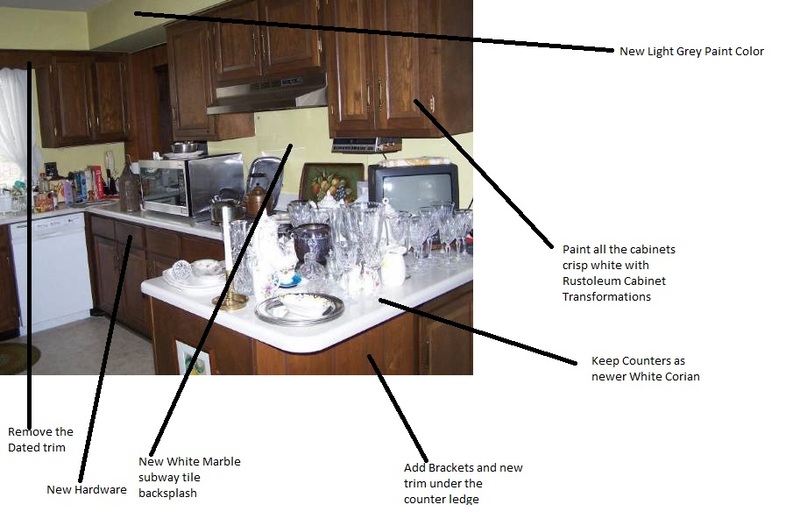 The marble backsplash tiles were in stock at Home Depot and we laid them in a subway pattern. Removing the dated trim above the sink really opened up the kitchen and lets more light in. The major item left is the panel for the front of the fridge. We were having some trouble finding what we wanted and then it just got moved the end of the list. 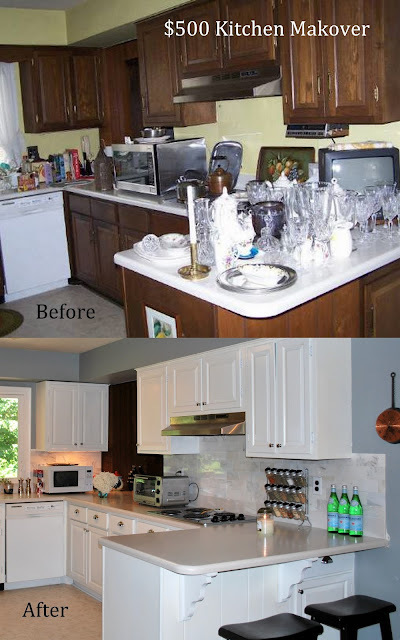 We are planning on just ordering a panel kit from Kitchen Aid in White for the time being. Eventually we will replace all of the cabinets and get a custom door panel at that time, but for right now I just love all the space in the fridge.